Allu Arjun's new movie 'Julayi' promotional song is going to be out in few hours. The makers are revealing the video song to the media today as the part of movie promotion. The song was composed by Devi Sri Prasad and sung by Malgadi Shubha and it was filmed on Allu Arjun and Devi Sri Prasad. We have to wait see what is there in this video. Trivikram Srinivas is directing this movie under the Harika Hasini Productions banner produced by Radhakrishna and presented by DVV Danayya. Ileana is paired up with Allu Arjun in Julayi. Siri media releasing this movie all over AP with large no of prints. Audio of the movie is rocking the charts and raised the expectations over the movie. Julayi is scheduled to release all over the world on August 9th. 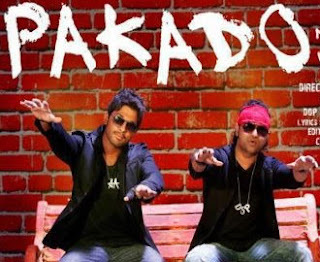 Stay tuned for the 'Pakado..' Promotional video song.